Make the most of leads, prospects, and referrals by converting them into your agency's clients. Your initial contact via a phone call serves as more than just an introduction. The manner in which you handle yourself plays a pivotal role in the success of recruiting new clients. Speak in a clear, kind, and respectful voice. Introduce yourself, your agency, and describe the source of your referral (i.e., CarePathways). Convey your understanding that the client/family is in need of in-home care and that your agency welcomes the opportunity to provide services. Remember that many sons and daughters of prospective clients are busy caring for their own children, therefore, email may be the best way to communicate with tech-savvy family members. This does not mean they are any less in need of your services! Your initial contact should follow suit regardless of the potential client's preferred mode of communication. If you get a voicemail or answering machine, leave a message. If you are provided with an email contact, use it in the same professional manner you would a phone contact. The client's response to your introduction will dictate the course of conversation and actions to follow. Keep in mind the ultimate goal of your initial contact is to set up an appointment that &quot;gets your foot in the door&quot; of a prospective client. Recognize that when invited to make a home visit your chances of turning a referral into a client becomes considerably higher. Be flexible, working entirely around the client/family schedule and not your own. 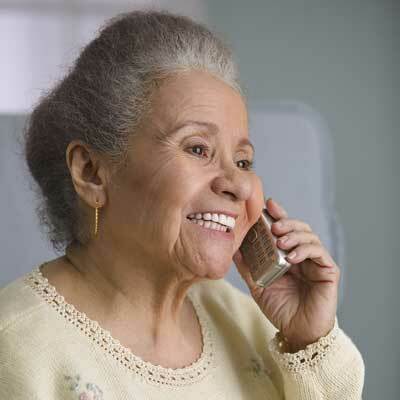 Suggest that you may be able to offer helpful caregiving advice and tips to the family during a home visit. Advise that a home visit can provide an excellent opportunity for a client health check-up by the agency's nurse. Propose a home visit to perform a free home safety assessment including recommending practical adaptive equipment. Try to leave &quot;should&quot; out of your diction and conversation with potential clients. 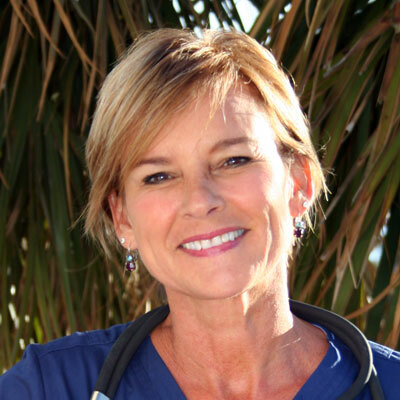 People are generally more receptive when you are gently offering your expertise as a homecare professional. It is crucial that you are well prepared for the myriad of responses that you are likely to encounter during this first contact. 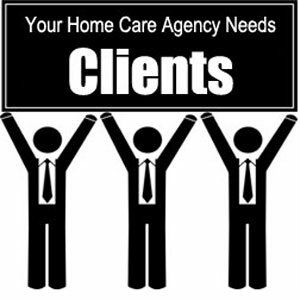 Ideally the client would simply communicate that they need homecare services and they are ready to get started. This ideal circumstance is rare; on the contrary, a number of other scenarios are more probable. Be mindful that there are certain situations that more commonly recur among prospective clients and their families. Therefore, it is wise to arm yourself with resourceful, practical, and sound responses to positively handle these more likely scenarios that unfold. One very popular response providers are confronted with initially is, &quot;We just need some information.&quot; Or more specifically, &quot;What are your hourly rates for a caregiver?&quot; Whether the family is genuinely in need of information or doing some comparative shopping, this is your opportunity to shine! Promote some unique features about your agency that make it standout. Discuss the owner's background in healthcare or their history as a family caregiver. Detail special traits about your agency's caregivers such as secondary languages spoken, CPR certification and special Alzheimer's training. Convince the family to allow your agency's representative to make a free home visit to meet with them, without any obligations, and drop off materials. Another common response heard a lot from families is, &quot;We are planning ahead but don't need help right now.&quot; Your best reply is to commend them for taking action and doing the legwork now to plan ahead for possible home care. You may learn that the client needs services sooner than expected as he or she may be in a rehab facility for only a month or two. Or maybe the client is planning a future move to live with a son or daughter. Reassure the family that your services are available when the time comes whether it is sooner or later. Regardless of the time frame, communications must be ongoing; otherwise, a large lapse in communication will likely cost you a future client. When you detect that a client is procrastinating about starting home care it is vital to get to the underlying cause by meeting them in person. 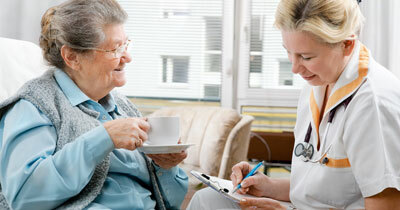 Suggest a home visit to give a nurse check-up to evaluate the client's overall health status and needs assessment. Establishing a good rapport early on, irrespective of when services are started, will be invaluable to your future business. Time and time again providers run across, &quot;My children think I need help but I'm doing fine on my own.&quot; Or better yet, &quot;They think they know what's best for me, but I wish they would leave me alone.&quot; Be careful to avoid further alienating the prospective client by seeming to be part of a conspiracy with the family. A non-threatening response might be that you expect that the family truly means well and doesn't wish to upset them. Act quickly to diffuse any anger and resentment, and be careful not to further insult a potential client by implying they cannot care for him or herself. You might propose getting some help from a caregiver with housework, shopping, and transporting to appointments. Offering this as a suggestion and way to assuage family discord puts the decision making back with the parent, instead of as a directive from others. Starting transportation and/or basic household services on a part-time basis will allow a client to become comfortable prior to suggesting additional care. Make a home safety visit to evaluate the home and use this opportunity to evaluate the potential client as well. Still another very familiar situation that providers encounter is the apprehensive or suspicious client (sometimes even paranoid) who admittedly needs homecare but is still very hesitant. When encountering an anxious or suspicious client recognize that this is your chance to step it up and gain their trust right away. Promote your agency's careful background screening of all caregivers that is always strictly adhered to. Bring the caregiver along with you during your first visit to meet the client to hopefully further allay anxieties. Make a plan of care that encourages active participation of the client to demonstrate your respect for his or her preferences. Empathize with your elderly client's feelings of vulnerability and take measures to eliminate situations they may feel threatening. Many families worry that they cannot afford home care for an elderly parent. They may begin by asking the hourly rates and if Medicare will pay for home care services. Families are often dumbfounded to learn non-medical home care is usually paid for privately, out of pocket, and not covered by a lifetime of paying for taxes and insurance. All too frequently providers turn away clients when private pay is not an option. Subsequently the agency might miss out on an opportunity to provide services by dismissing other payment options. Investigate possible means of financing home care such as long-term care insurance, Medicaid, and Veterans benefits. Explore strategic scheduling, minimizing hours, supplementing with adult day care, and even negotiating lower rates. It's very possible that your extra efforts will be rewarded by your agency gaining a new client that otherwise might have gone without much needed services. Some families are looking for temporary or respite care for loved ones to relieve them of often exhausting and demanding responsibilities. In these situations, caregivers are supplied to stand in for the primary caregiver and give them a break on a part-time or intermittent basis. Accommodating respite and temporary services, despite the staffing challenges they may present, can pay off later by gaining future part-time or even full-time clients. Furthermore, do not avoid taking on clients requesting minimal help such as, &quot;Mom needs transportation for shopping once a week,&quot; or, &quot;Dad needs help with housework and would enjoy a home cooked meal.&quot; Instead view these requests as a golden opportunity to get your foot in the door, where you likely will find more services are needed either now or somewhere down the foreseeable road. Also, place great emphasis on accommodating a family's request for a caregiver to relieve them for a much-needed vacation. A grateful family will likely reward your agency with future business in addition to being a valuable source of recommendations. Your response and ability to adapt to these various scenarios that you may encounter is critical to successfully convert referrals into new clients. Make your first impression a warm and positive one that enables clients to sense your underlying compassion. Be understanding of denial or even fear among the elderly when it comes to outsiders in their homes. 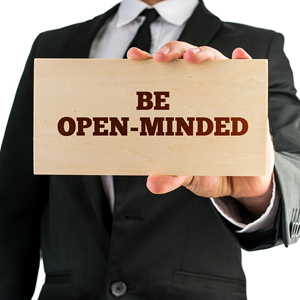 Keep an open mind while being flexible and accommodating for new client requests, no matter how big or small the job starts out. Don't be too quick to judge or dismiss a potential client due to affordability or limited scope of services. Develop strategic ways to get your foot in the door of prospective clients to win them over. Always respect that it is a privilege and an honor to be invited into a client's home to care for them.